Yavuz Gultekin and John Carroll continue to soar, routing Calvert Hall College in the opening round of the Baltimore Catholic League Tournament Wednesday. The top-ranked Patriots will play No. 3 St. Frances Academy in the semifinals Saturday evening at Goucher College. There was no letdown for John Carroll School. In its first match since claiming the MIAA A Conference crown as well as the top spot in VSN’s Top 20, the Patriots crushed Calvert Hall College, 93-52, in the opening round of the 47th Baltimore Catholic League Tournament Wednesday evening. University of Kentucky recruit and McDonald’s All-American Immanuel Quickley finished with 23 points for John Carroll (30-7 overall), and junior Yavez Gultekin added 16. Junior guard Logan Curtis finished with 14 points for Calvert Hall (12-18). The fourth-seeded and host Patriots put up 53 second half points as they advance to Saturday’s semifinals against top-seed and No. 3 St. Frances Academy at Goucher College at 7:30 p.m. St. Frances defeated Mount Carmel, 85-51, in Wednesday’s other quarterfinal match. Brandon Craig had 14 points and Montez Mathis and Cameron Byers each finished with 10 for the Patriots, who led 15-12 after the opening quarter before outscoring The Hall, 25-12, for a 40-24 halftime lead. Brendan Adams, who will play for the University of Rhode Island next season, had 11 points in his final game for the Cardinals. St. Frances (33-5) got 12 points and eight rebounds from junior forward Bass Diop and BCL Defensive Player of the Year Rajeir Jones finished with 12 points, three rebounds and a steal as the Panthers rolled Mount Carmel (12-24) at Phelps Gym in east Baltimore. North Carolina A&T-bound guard Edward Ferguson had 10 points off the bench. St. Frances led 23-9 after the opening period and put up 37 points in the final frame. Sophomore point guard Adrian Baldwin had nine points, seven rebounds and five assists. 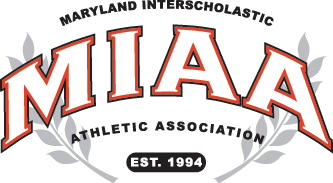 It will be round three with St. Frances and John Carroll Saturday evening in Towson. The Panthers won both regular season matches, 78-73 (Nov. 29) and 71-61 (Jan. 10). The other two BCL quarterfinal matches take place Thursday with No. 7 seed Archbishop Spalding at second-seed and No. 4 Mount St. Joseph, and sixth-seeded Loyola Blakefield traveling to Hagerstown to take on No. 3 seed St. Maria Goretti.